In June 2016, Google announced that US Cellular was now among the top mobile carriers used by Project FI. US cellular, the fifth-largest wireless telecommunications carrier in the United States, is now part of Google’s Project Fi, a program that aims to connect users to the strongest wireless connection available. Project Fi is already using the mobile network of US top mobile carriers Sprint and T-mobile to provide seamless LTE coverage throughout the United States. With more than a million free, fast and reliable open Wi-Fi hotspots, the program switches between the different cell and Wi-Fi networks to automatically give users access to the strongest network available. 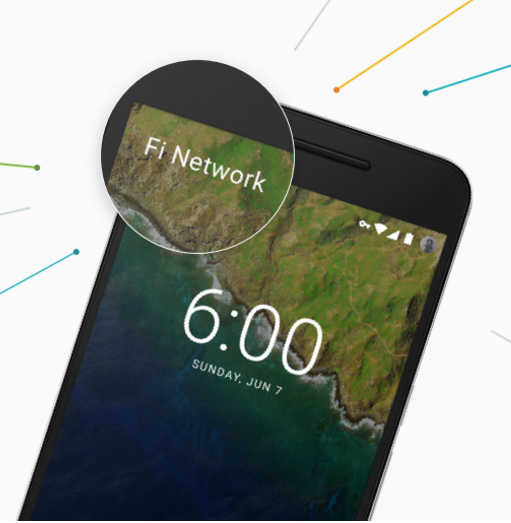 Presently, there are only three compatible phones with Project Fi: Nexus 5X, 6 and 6P. Project Fi supports voice calls, texting over Wi-Fi and notifies its clients when they are using a secure public Wi-Fi hotspot. Even if the user leaves the area of Wi-Fi coverage, Project Fi enables a seamless transition from Wi-Fi to cell networks. Project Fi also stores their user’s address book in the cloud, enabling them to text and place voice calls from a laptop or tablet without needing to have their phone nearby. The program has a customer-friendly payment plan with Fi that starts at $20 a month for all the basics (like talk, text, Wi-Fi tethering, and international coverage), and then data is sold separately at a price of $10 per GB. At the end of each month, Project Fi refunds the clients who have not used up all the data they paid for, making the program’s payment plan more attractive to prospective customers. According to Google, Project Fi was developed to provide “better coverage by intelligently connecting [the user] to the fastest available network [at their] location,” regardless of whether the connection is to a Wi-Fi network or to a mobile carrier’s LTE networks. Previously, Project Fi’s LTE coverage was concentrated in big cities like New York, Los Angeles, San Francisco etc. However, since US Cellular carrier offers 4G LTE coverage to more than 99 percent of Project Fi’s subscribers across 23 states in the US, Project Fi is now also able to expand its coverage within the Midwest to states such as Oklahoma, Oregon, Nebraska, West Virginia, Texas, and Maine.